Welcome back to Kitchen and cooking! We had the veggie Flaquities from Trudy’s at couple birthday parties and it tasted pretty good. I gave my recipe Indian touch because I wanted to use left over desi chana(Black chickpea). But the Flaquities from Trudy’s use black Beans. Saute onions, followed by black beans in olive oil with the spice powders, mix and cook 2 minutes (optional: add chopped jalapeno). Add rest of the veggies and cook 5 minutes or until beans begin to get dry. Now turn the flame off and add cheese, lemon juice and cilantro. Mix everything well and let it cool down. Remove bean mixture to bowl and squash about half of the beans with a fork. Then add Veggies-Bean mixture inside tortilla and roll the stuffing like burrito roll so mixture doesnt come out from sides. Heat vegetable oil in pan. Place flaquitie onto the hot vegetable oil with the seam-side down. Make sure to use cheese in each tortilla to seal, but don’t use so much filling that you can’t roll it tightly at 2 inch diameter. Fry about 30 seconds, turn over and fry another 30 seconds. If desired, also fry both sides which haven’t yet touched the pan. If desired, or if a lot of cheese was used, place in oven for 7 minutes at 350. Serve with salsa, chipotle sauce, or ranch dressing. ( I made avocado sauce to dip it in). 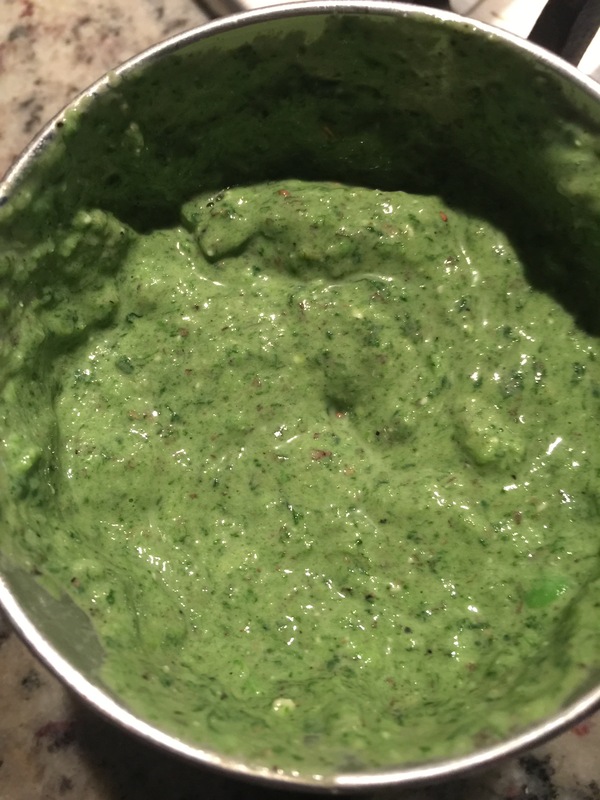 For Avocado sauce- 1 avocado, 1/2 onion, 1 garlic clove, 1 Jalepeno, 1/2 cup cilantro, salt, black pepper, 1/2lemon juice, mix it all and make a smooth paste. I hope you enjoy this recipe. Thanks for stoping by. Blend everything except for vegetable toppings and pizza sauce for the quinoa batter. Now spray the oil in cake pan and pour the quinoa batter. Preheat oven 400 and bake it for 10 minutes and flip it. This time you spread the pizza sauce, add cheese, toppings and sprinkle Parmesan. Bake for 10 minutes again with toppings and it’s ready. 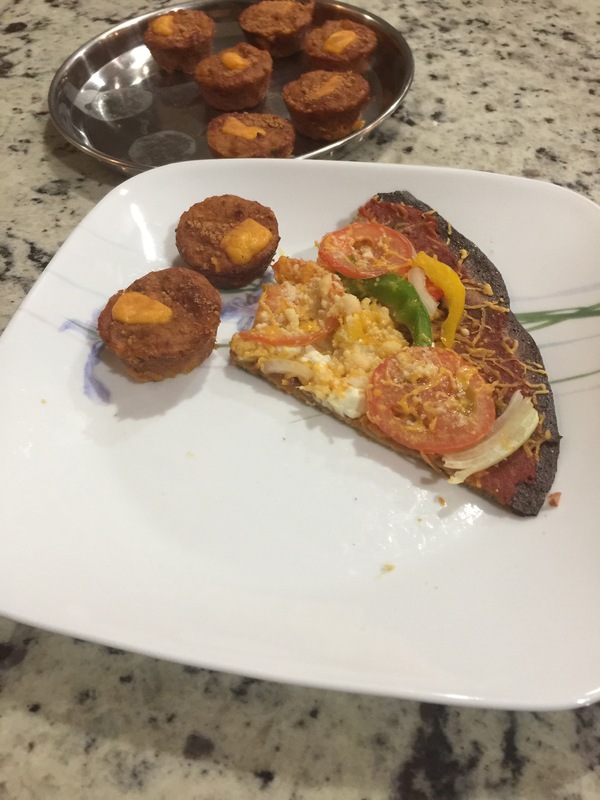 To make it simple, I added 3 tbsp pizza sauce, all the toppings finely chopped in the quinoa better and baked it in muffin tray. 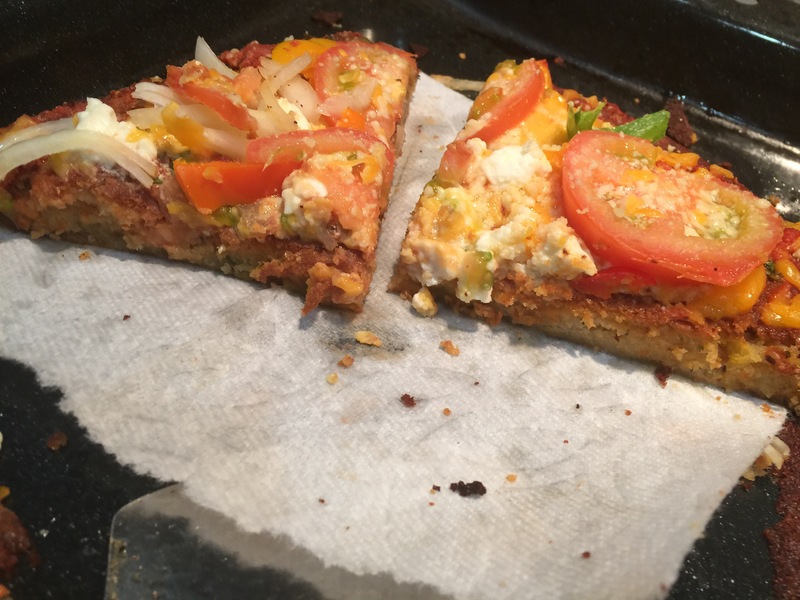 Notes: Rinse quinoa very well before making a batter otherwise the pizza crust will taste very bitter. I also had a little recipe failure, as one of the pizza batter was thin, it got burnt on sides. 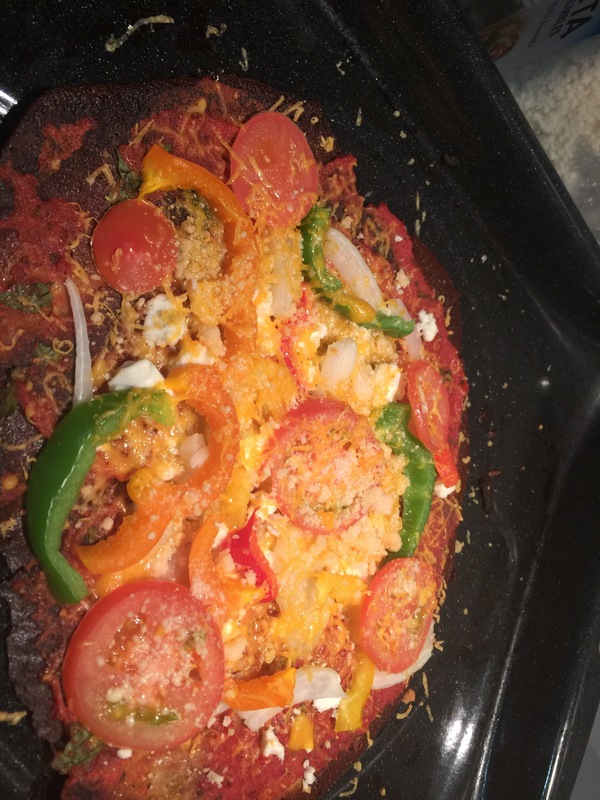 Here comes the Veg Chimichangas…. I love it when my pantry is full of groceries and refrigerator is full of fresh Vegetables and Fruits. Its a new year and the recipe has to be healthy… 🙂 We just visited Mexico and ended up trying Veg Chimichangas. The Chef made vegetarian version specially for us as Chimichangas are usually with pork /meat stuffing. I had to try it home and there comes all the inspiration for this Recipe. 1 avocado, 1 jalapeno, 1/2 lemon juice, 3 tbsp milk, handful of cilantro, 1/2 cup water (if like more liquid consistency), salt and pepper per taste. 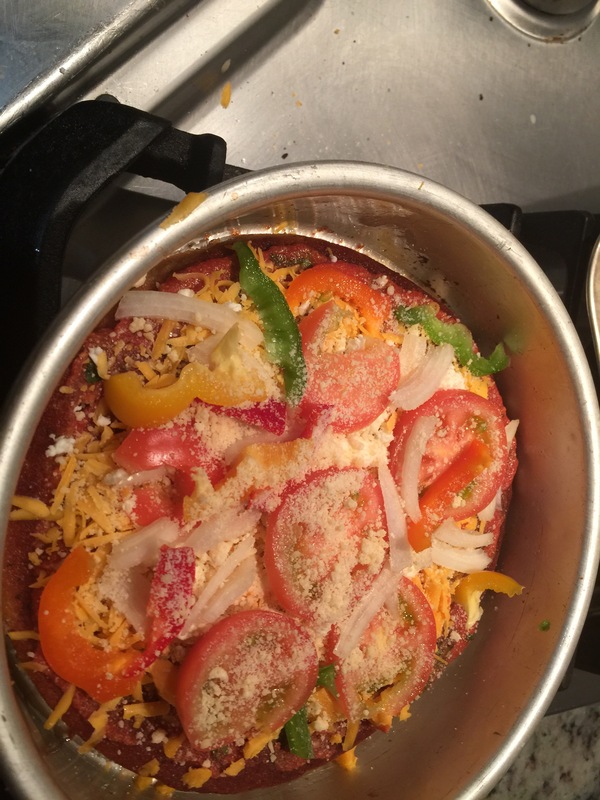 2 tomatoes, 1/2 bell pepper (use red if color is important), 3 garlic cloves, 1 jalapeno, 1/2 onion, salt and pepper per taste. How to – Baked Chimichanga? Make wheat flour dough if not ready and make 8 parts from it. Roll it in 8 tortillas. For the stuffing, take 1 tbsp olive oil, add veggies and sauteed it and at last add beans and spices. Mash the beans at last and can also add cilantro, lemon as well. Put the stuffing in tortillas and secure it in a shape you like so stuffing does not come out. You can also use ready made frozen Tortilla land tortilla. Now preheat oven at 375 and bake it for 7 minutes and broil it for 2 minutes HI. How to Salad and Sauces. For salad, mix everything and add taco seasoning and lemon juice per your taste. 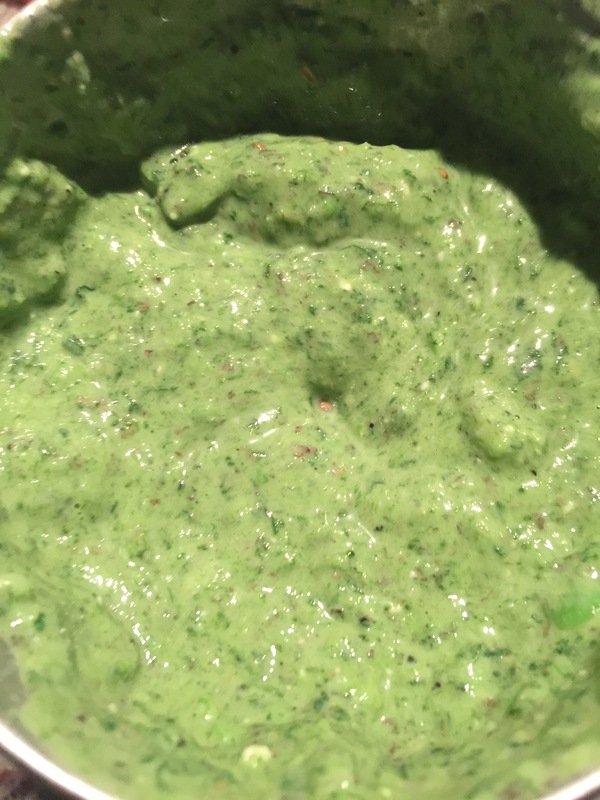 For Avocado sauce, add everything in blender and mix it well. For Salsa Verde, while you bake chimichanga, bake everything for Salsa verde sauce. Once baked, mix it well in blender and add spices. You can decorate it per your wish and serve! Cha-Ching..Your Chimichanga is ready to be gulped. 😉 I hope you try this and like it. have fun cooking fellas. First comes the Invitations on the list and needless to mention. I had to create my own. “Simple” is on my mind and below invite is the outcome. The Christmas Card design is inspired by Warli Art. If you don’t have time to make your own card like I did, check out the brand new collection of Christmas cards availableover at Paperless Post. My personal favorite is this and this one! Cocktail drink chosen Watermelon punch being party in July. Starters : , Veg lettuce wrap & Mini Vada Pav (stuffed in Mushroom sized hamburger buns). 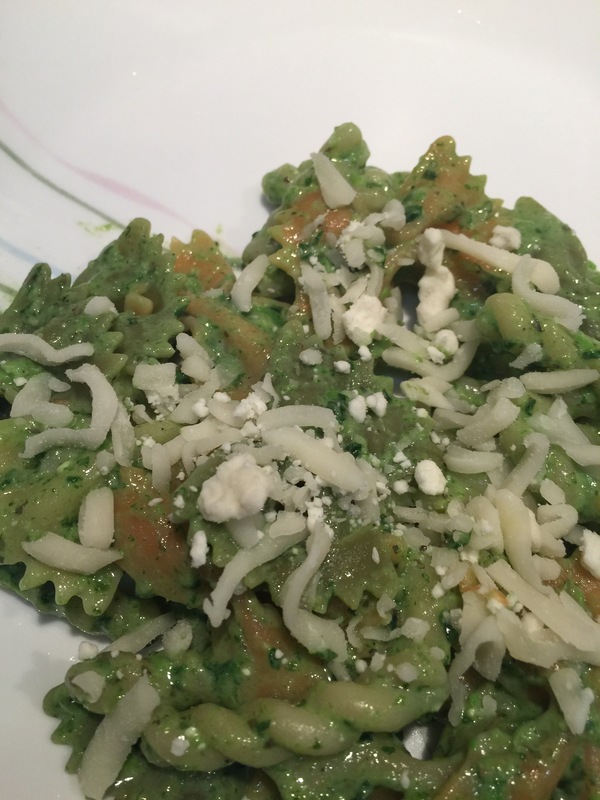 Side dish: Cold pasta Salad with Spinach Peasto Sauce (for kids),& Mini veg Puff pastries. Update on Side dish: Sesame Veggie Lo Mein Noodles. This is on my To-Try list for next party, as its easy, kid friendly (No spices) and who doesn’t like Noodles? Thank you so much Miss Z. for sharing your KitchenAffairs with foodie people like us. Do check her recipes out fellas. Last but not least are Home decors and Games. For the party, I stick to one element for the decors. Fresh Succulents for outdoors and flowers for indoors. I also like backyard party but its too hot in July here. For the kids play area, used lots of balloons filled with candies. 😀 For kids games, we bought lots of crayons and coloring pages, piano, puzzles and board games like candyland from Target. For adults, we bought sequence board game while we have late night snacks after desserts. I hope, the post made you smile with the ideas! Thank you for visiting. Do let me know your feedback about my ideas and new ideas I can use on my next party. 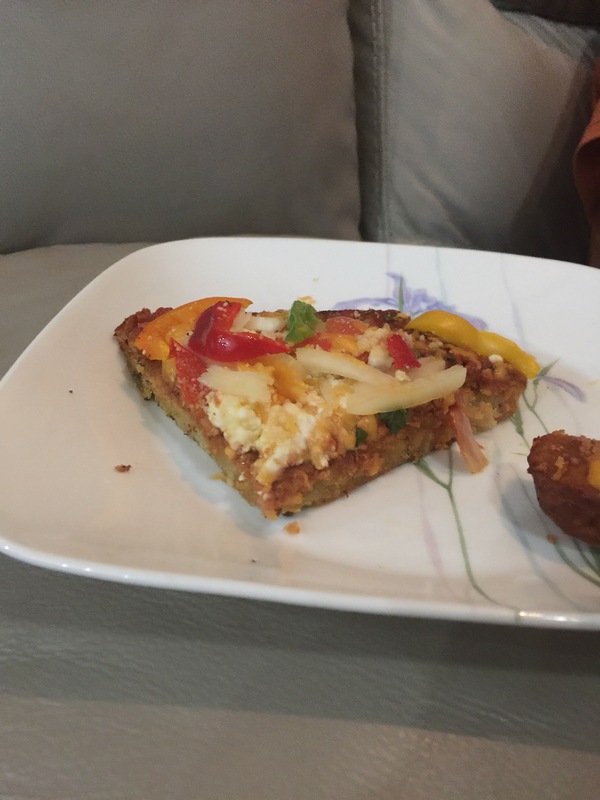 One of the foodie friend started this “Let’s get back to cooking” group under Google Spaces and her hubby shared this falafel recipe in the group. I must say he has a vey good taste to filter down the recipes for us foodies in the group. 😛😁 I still haven’t tried the whole recipe but was tempted to try it over the weekend. Just to respect my own feelings, I tried the sauce with the twist that works for my family. Thanks ZanPan, this post is dedicated to you guys. Basically I just made the Basil pesto sauce without Basil. 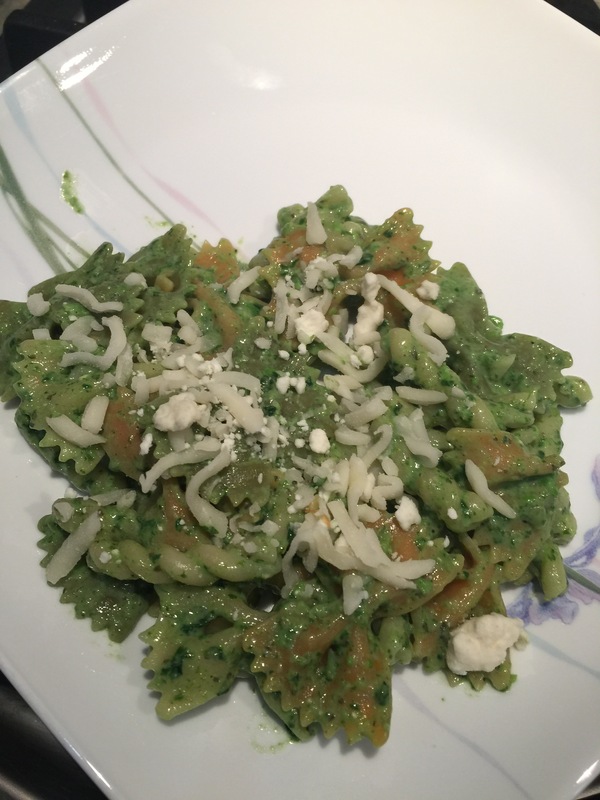 1 tbsp mozarella cheese, 1 tbsp blue cheese sauce(you can also use cube cheese ), 1 tbsp feta cheese, 1 tbsp avocado olive oil( you can use any cooking oil), salt and pepper per taste, 2 cloves fresh garlic, 1.5 tbsp dried basil leaves( optional) , 1 handful of cilantro leaves. 1. First cook pasta of your choice per direction on the box. 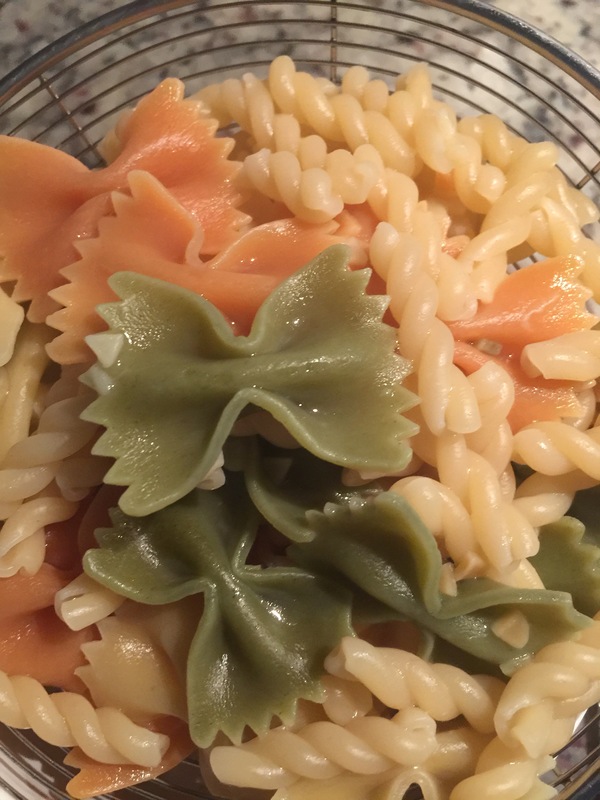 Keep the water from pasta. 2. 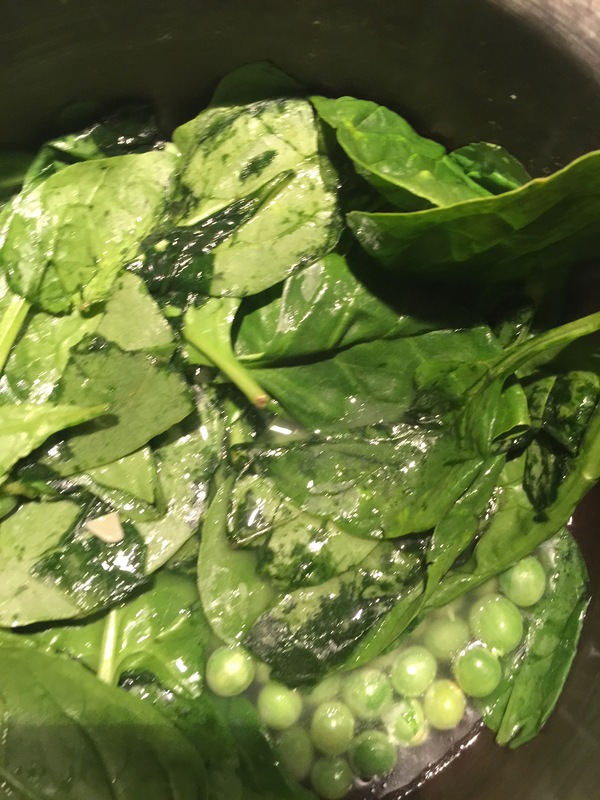 If you have fresh peas, put spinach leaves and peas in hot water from pasta for 5 minutes. 3. 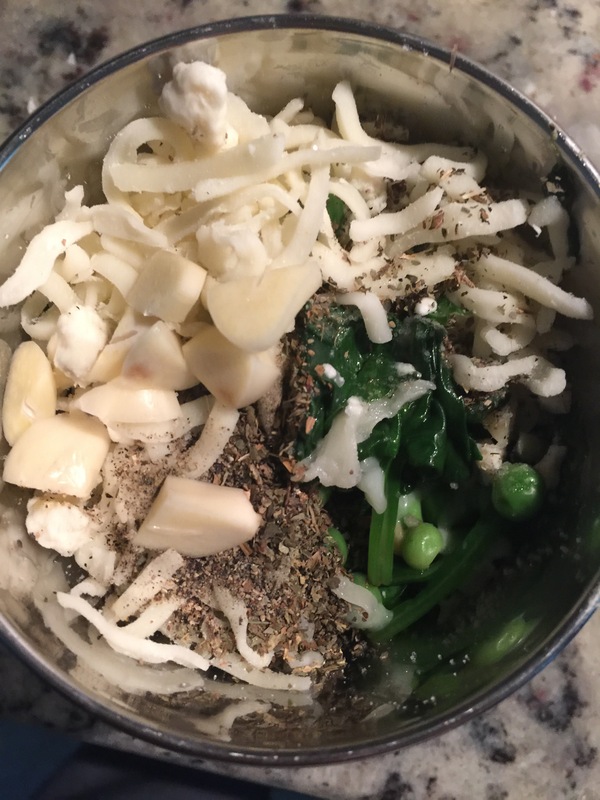 Now in your mixer, add peas, spinach, cilantro, all 3 cheeses, salt, pepper, garlic, oil and half avocado if you want it creamy. I did not add though. 4. Your pasta sauce is ready, just add any veggies you like ( cucumber, Cherry tomatoes, olives, onions, bell pepper) in your pasta and mix well with sauce. You can sprinkle some Parmesan and blue cheese to serve. It’s the best way to get the veggies in toddler’s system. I did not add any vegetables as I wanted the quick version but I still got spinach and peas in the sauce. Thanks for visiting my blog. I hope you have fun cooking quick recipes. The falafel recipe I was talking about can be found here. Every time I am in a process of cooking least enjoyable recipes, my mind is having highest exposure of inventing some new recipe. Well I am trying to be positive about cooking same ole same ole. Do you have one of those days when you save even little left over curry because it was so yummy but next day its not enough for you and hubby both and have to cook something anyway. This recipe was quick for me, as I had leftover Punjabi gravy. So, here I come with some twist to Mumbai-ya vada pav. Now this combination might not work well for everyone’s taste buds but it is very interesting. Note: photos are not from my kitchen. I am to update soon. 2 tbsp oil, 1.5 cup gram flour Gram flour, salt per taste, 1/2 tsp ajwain, 1 cup very finely chopped spinach leaves. (this is a twist, you can avoid step 3, 4 & 5 with Style 1 below). Ham burger bread/pav per your requirement. Chutneys: garlic Chutney , green cilantro chutney and Dates chutney. First of all, prepare gravy if you don’t have it from left over. Give it some time to cool down while we prepare for kofta mixture. Gravy preparation similar to any Punjabi gravy you make. Remove skin of boiled tomatoes and make a puree. Add all the ingredients except heavy cream. Now take 1 tbsp oil in pan and heat it. Add the the gravy mix to cook for 15 minutes.Once oil starts separating, add heavy cream. As soon as the gravy is ready, let it cool while you prepare your vada coating mix. Make sure gravy is not too runny. 3. For vada coating(with spinach), heat oil in pan. Add gram flour and keep mixing, so no lumps left. Add salt, ajwain and finely chopped spinach. It will turn in to sticky paste as water from spinach leaves. Make sure you keep mixing well for no lumps. This option is good if you want to make your kofta/vada in appam pan(no fry). 4.Now to Vadas/Koftas, mix all ingredients for vada/kofta and 3 tbsp of red gravy prepared. This twist will give that northern kick to mubaiya vada pav. Make small balls of this mixture. 5.For vada coating with spinach, take a medium chunck of this mix and spread oil in your palm. Now pat it into small puri and stuff the paneer-potato balls in puri. Roll them nicely and fry them on medim flame. Alternatively you can cook them in appam pan. 3. For vada coating (without spinach), just take gram flour and add water as needed to make batter. Add salt, ajwain and 1 tsp hot oil. 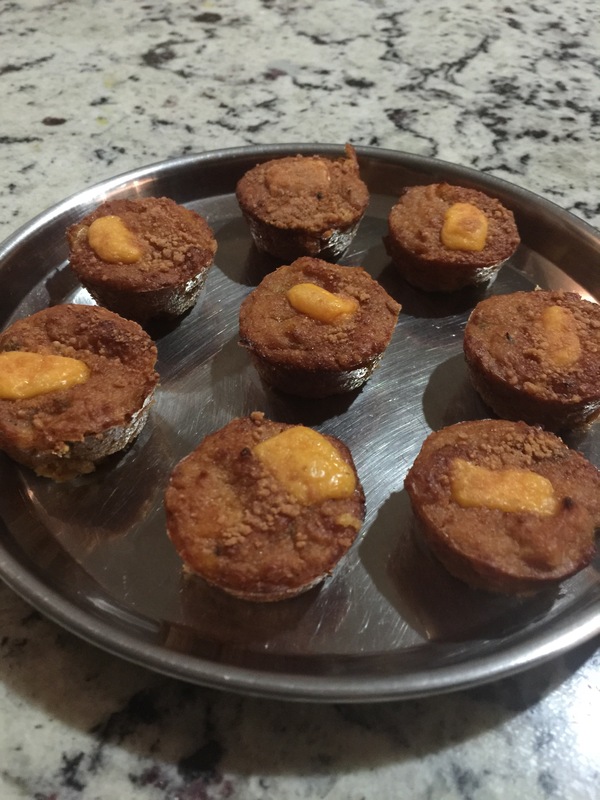 5.For Vada coating without spinach the dip the paneer-potato balls in batter and fry. 6.Take ham burger pav. Spread Green chutney on one side and Red garlic chutney on other. Put your vadas in between pav and bite into mind blowing Malai Kofta Vada Pav. You can serve this with tomato ketchup or dates chutney on the side. If you are feeling more adventurous, you can also put garlic chutney and green chutney on one side and spread Punjabi Gravy on other pav to give it a try. That adventure was not for me as it tasted like eating Punjabi subji with bread. Some people like butter Pav and others eat without toasting pav. If you already have left over gravy, its very quick. Do try this in your kitchen and let me know how your family liked it. Summer time, Vacation time. We were not able to do anything as planned except for the vacation, we just had. 😉 That being said, below are some exciting projects we ended up executing for fun through the Month of July. Not to mention that I try to Teach that toddler Montessori Style, best I can. We have done lots of arts activity done and most favorite was puffy paint. We did counting by playing this game dedicated Olympics theme here. For every successful shot, she got points. 10, 20, 30,… That explains her the counting after 20. So like 1, 2, 3 and likewise 10, 20, 30..100. All the science projects we did this month were highly focused on Sensory and motor skills activity. Cooking Gingerbread man pancakes , Balloon Rocket(here), Olympic Kiddie Javelin Throw game, etc. We visited Disneyland this summer and that was great. We are also reading a book that teaches how different animals stay warm in winter compared to humans. We did rock climbing and lot of travelling this summer. Thank you for visiting me this month. One new activity coming soon for next months DIY abacus for math counting here.